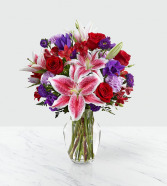 The Up Among the Stars Lily Bouquet is set to impress! 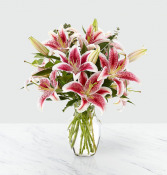 Hand gathered from select floral farms, this bouquet brings together stems of Stargazer Lilies, known for their fuchsia petals outlined in white and amazing fragrance, with an assortment of lush greens. 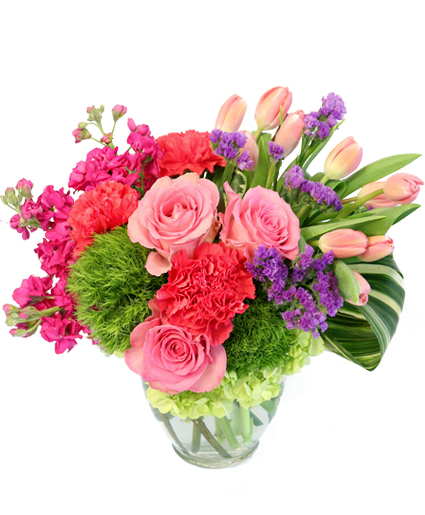 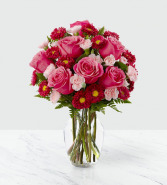 Picked fresh for you, this stunning flower bouquet is set to create an incredible birthday, thank you, or thinking of you gift.